10 days of deals with more great offers than ever before - that's what Amazon UK are promising in the run-up to Black Friday 2018. 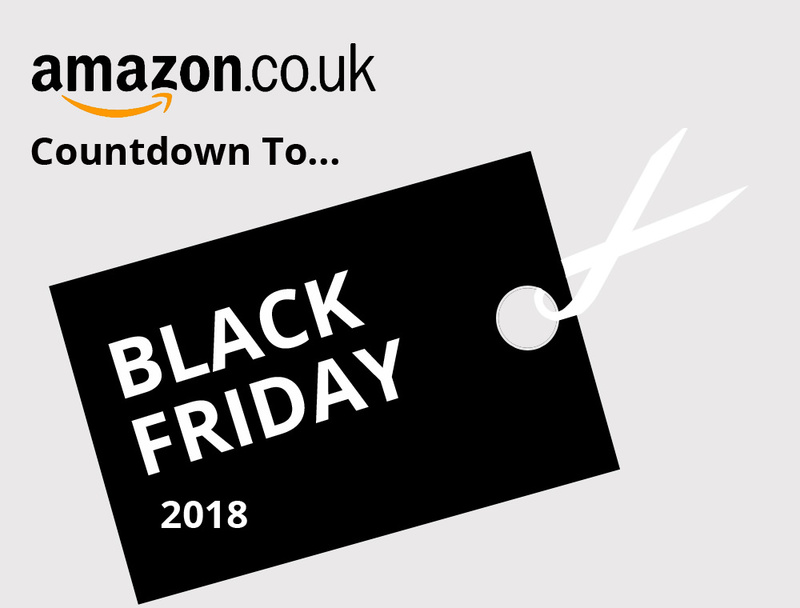 It's official - the countdown to Black Friday is now on with Amazon UK confirming it will run offers from Friday 16 November 2018 until 25 November 2018. Black Friday, which falls on Friday 23rd November, has become a highly-anticipated date in the UK shopping calendar and marks the start of the Christmas shopping season for some people. It's also followed by Cyber Monday - a day which used to focus more on electronics and online stores but it's now something most shops (online and on the High Street) continue deals on. Amazon UK is promising customers 'more deals than ever before' and, the shopping giant has even introduced a new 'AR View' so customers can view products in situ before they purchase, via the Amazon App. Plus, Prime members can now use 'Prime Wardrobe' which allows members to have their favourite fashion products delivered for no extra cost, try them on at home, and only pay for the items they decide to keep. Mobile shoppers, can also find where their parcels are in seconds in the Amazon App, use camera search to quickly find the items they want by pointing at an item or barcode, and never miss a deal by setting 'Watch-a-Deal' alerts. Like previous years, Amazon UK will offer 'Deals of the Day' every day throughout the period across the site along with 'Lightning Deals' - products available at a discount, in limited quantities, for a short period of time - with new deals becoming available as often as every five minutes. You can also search for deals by 'most-shopped-for interests' which Amazon says will make it quicker and easier to shop. For those who like to support a charity, you can now do so every time you shop with Amazon UK through AmazonSmile where Amazon will donate a portion of eligible purchases to the charity of their choice. Customers can choose from more than ten thousand charitable organisations around the UK. Amazon Prime members, including customers enjoying a 30-day free trial of Amazon Prime, will have an exclusive 30-minute early access period to all Lightning Deals. Prime Now will also offer special Black Friday deals to more than 30% of the UK population which can be delivered in scheduled one and two-hour delivery windows or within 60 minutes in selected postcodes. Amazon UK already has their Black Friday Sale landing page ready to go but deals won't appear on the page until nearer and/or on Black Friday. For now, have a look at our guide to Black Friday so you're ready to go when the deals do start arriving. ePHOTOzine wants to help you find the best deals on cameras, photography accessories and more so like last year, we'll be updating the website with posts on the very best photography related deals. The deals will be posted in one feature so they're easy to find and you can even bookmark the page once it's live on site. There are so many "Black Fridays" during the year it means nothing to consumers!! !